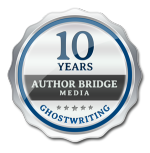 Your book ideas, writing samples, manuscripts and any other proprietary material you send to us are held in strict confidence. If you need a signed non-disclosure agreement, please download a copy here, sign your name and email it to us once we confirm your appointment. This form is pre-signed by ABM; all you need to do is add your name.